You hear much about curb appeal when you&apos;re reading through real estate blogs, but what does that actually mean? Is it lots of colorful flowers or perfect landscaping? What about exterior artwork or a decorative mailbox? It isn’t your house sticking out like a sore thumb in the neighborhood. That means that if all your neighbors have upgraded landscaping and yours is the only one that has rocks and dirt or dead patches of grass, the folks that stop by to see your home will plan on getting it as a fixer-upper or at least at a steep discount. It’s also not having tons of water features and garden gnomes on your front lawn. And while re-purposing a toilet to be a flower bed might garner you a second look from drivers-by, it won’t endear you to homebuyers. And it certainly isn’t add-ons that fail to match the rest of the exterior. In real estate parlance, curb appeal means anything that adds to a home’s exterior and is visible from the street. From landscaping to roofing upgrades; new windows to concrete treatments the driveway and sidewalks, anything that visibly positively catches the eye increases its curb appeal. The first best way to get curb appeal is to keep what you already have. That is, keep your lawn, roof, siding, stucco or brick, fences, doors, and windows in top condition. Fix anything that breaks. Paint what needs painting. Repair the roof after a storm. Repair or replace a broken or damaged garage door. Water and trim the lawn or replace it with eco-friendly and attractive xeriscape. Handle all upkeep on a regular basis so that when the time comes to sell, you don&apos;t have a lot of refurbishing to do and can concentrate instead on those little "extras" that set your home just a little above the rest. With all the regular stuff handled, you can spend a little bit more on adding colorful plants and planter boxes, painting the door a cheerful, inviting color, and perhaps changing out the carriage lights for something new. And when the curb appeal is well in hand, focus on the inside to get that top dollar return. If you need help determining which items provide the most curb appeal in your neighborhood, reach out to a local realtor. Mike Flannagan, Principal Broker @FlannaganAssociates. Mr. Flannagan began his real estate career in 1991, Mike’s educational and professional experiences have provided a strong foundation in his real estate career. Such a background has been exceptionally useful in understanding, managing, problem-solving, and ultimately closing complex transactions. 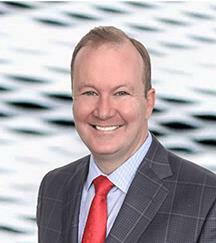 These talents, however, do not preclude equal success in navigating more traditional transactions, where Mike’s naturally strong work-ethic and contagiously kind personality complete the full circle of his effectiveness as a true and pleasant partner in the purchase and sale of a full range of real estate assets. Mike is also a Master Real Estate Developer and has worked on various communities right here in Loudoun County. Additionally, he also build’s luxury custom homes through his entity Virginia One Development priced from $3-million and up. Mike has passed $1 Billion in total life time achievement in transactions. The data relating to real estate for sale on this website appears in part through the BRIGHT Internet Data Exchange program, a voluntary cooperative exchange of property listing data between licensed real estate brokerage firms in which Flannagan Associates, LLC participates, and is provided by BRIGHT through a licensing agreement. Information Deemed Reliable But Not Guaranteed. The information provided by this website is for the personal, non-commercial use of consumers and may not be used for any purpose other than to identify prospective properties consumers may be interested in purchasing. Copyright© 2019, BRIGHT, All Rights Reserved. Information last updated as of 04/22/2019 09:41 AM.